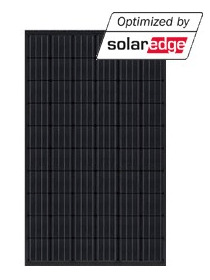 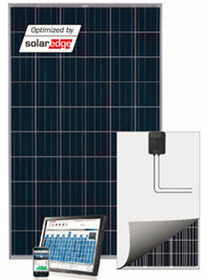 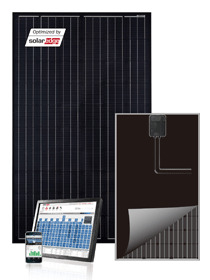 Silver frame Polycrystalline Smart module with Solar Edge optimiser embeded. 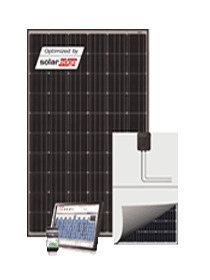 Key features Multi-crystalline modules designed for residential commercial and utility applications, rooftop and ground mount Maximum energy gain: ground mounted systems: 2-5%, commercial 2-10%, residential 2-25% Automatic module shut down. 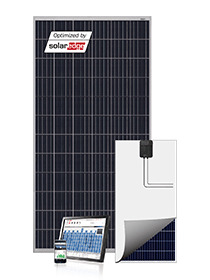 Unique electrocution prevention and fire safety Flexible system design optimal site space utilisation at reduced cost Real-time alerts module-level web monitoring, increased uptime maintenance Excellent mechanical load resistance: Certified to withstand high wind loads (2400Pa) and snow loads (5400Pa) Reliable quality: Positive power tolerance: 0_ +5 W 100% EL double-inspection ensures modules are defects free Potential Induced Degradation (PID) resistant Comprehensive Certificates: IEC61215, IEC 61730, MCS and CE ISO 9001:2008: Quality management systems ISO 14001:2004 Environmental management systems BS OHSAS 18001:2007: Occupational health and safety management systems Environmental policy: The first solar company in China to complete Intertek’s carbon footprint evaluations program and receive green leaf mark verification for our product.